Thanks to the Snooth PVA blogger weekend, I had the occasion to try a number of wines from South Africa paired with South African cuisine at the Institute of Culinary Education. I have written about South African wines a number of times on this blog after a wonderful introduction to these wines in 2010 at the Society of Wine Educators conference. I also had the great fortune to work on a project for Stellekaya and to befriend the wonderful Ntsiki Biyela, their wine maker. All this to say that South African wines have a special place in my heart although I still have not visited that beautiful country. I can’t write about South African wines without mentioning my admiration for Nelson Mandela, one of my heroes. At the Snooth luncheon we tasted through a number of wines made from international varieties and one Pinotage. I’ve never been a huge Pinotage fan but I was willing to be more open-minded. I showed my open-mindedness by trying ostrich for the first time as I am already quite familar with Biltong, a South African cured meat. Graham Beck Brut NV with its refreshing, yeasty aromas and flavors coming from the 15 months it spends on its lees. Raats Family Chenin Blanc 2009, a wine I know well from previous tastings. It was lush and rich with the right waxy, mineral notes I look for in Chenin. They also make great Cabernet Franc wines. De Morgenzon Chardonnay 2012 was not my usual style, a big, oaked Chardonnay but something about it pleased me that day whether it was the pairing or the fact that they pipe Baroque music into their winery. Hamilton Russell Pinot Noir 2010 interested me because I had never had a Pinot Noir from South Africa. As you would expect, it had mushroom, earthy notes and was lighter than most of the other red wines we tried. Ken Forrester “T” Late Harvest 2010 was a delicious late harvest wine in the same style as many from Alsace. I am a crazy about sweet wines so this one fit the bill. Forrester is another winery that I know well, having tried much of his Chenin Blanc at previous tastings. According to a report I read recently on Decanter.com, the harvest this year in South Africa is supposed to reach record levels. I look forward to seeing what the year brings forth. 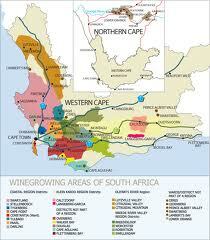 Please check out Ben Carter’s great review of the wines of South Africa from our tasting at Benito’s Wine Reviews.